The Kings XI Punjab yesterday registered a six-wicket victory against the Sunrisers Hyderabad at the IS Bindra Stadium in Mohali. It was KL Rahul and Mayank Agarwal who led the team to victory by bringing up 114-run stand between the two. The team chased the total of 150 runs after they were invited to bat first by the Kings XI Punjab. After winning the match, team KXIP Punjab went on to troll the Sunrisers Hyderabad who has earlier taken a sly dig at the hosts after they went on to score 150 runs. IPL 2019 Orange Cap Winner Updated: SRH's David Warner Continues to Retain the Orange Cap in the Indian Premier League 12. David Warner was the only batsman who stood tall while facing the lethal bowling of the KXIP. The Australian scored an unbeaten knock of 70 runs. The Sunrisers Hyderabad were struggling to score runs right from the start of the game as they failed to reach the score of 100 runs in the first 15 overs. In the end, the visitors scored 150 runs for the loss of four wickets. Post this, the official account of Sunrisers Hyderabad went on to retweet the post which spoke about the lowest totals defended by the team in Mohali. 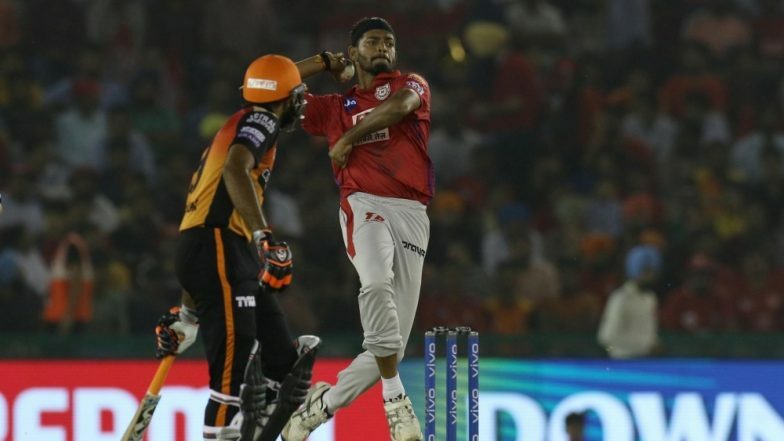 KXIP vs SRH, Stat Highlights: KL Rahul & Mayank Agarwal Lead Kings XI Punjab to Seventh Victory in Mohali Against Sunrisers Hyderabad. With this team Sunrisers Hyderabad implied that defending a low score of 150 runs would not be a big deal for the team. After KXIP won the game, the hosts retweeted the same post and had a savage response to the same. With this, KXIP registered their seventh victory at the venue and KL Rahul brought up his third IPL 2019 fifty. The team will next play against the Mumbai Indians tomorrow at the Wankhede Stadium in Mumbai.